Nice pic TheRook. Incidentally this brings up the perfect thread for what I was about to post. This is an IRC #winbolo log from tonight. [21:48] <TheRook> how do u do the purple text? [21:49] <|Jason8|> it actually worked. Eat recycled food. It's great for the environment and OK for you. ic ur pic has aim in the background. heh, one im very proud of, 0 deaths, 2x2 me and stumpy rob vs zet and lucky, got em both and lucky's man. 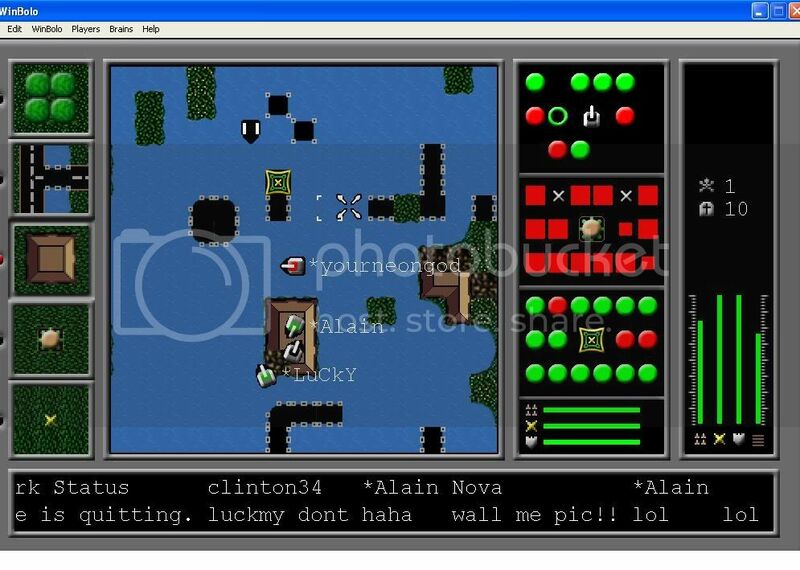 i remember that thats the game when zoki aka #3 and i where talking on msn and he kept on saying "help i cant get out!" good thing i broke out and boogied! got me Alain but i got you!